If you're looking for a 2018 Toyota C-HR for sale in Watertown KY, there's no better place to be than right here with us at Waite Toyota. The CH-R is an all-new compact crossover SUV for the 2018 model year, and you'll find it right here along with the rest of the Toyota new vehicle range and so much more at our physical site located at 18406 US Route 11, Watertown, NY 13601. Whether you’re looking for new or pre-owned vehicle sales, servicing, parts or repairs, our friendly, knowledgeable team has it covered. The CH-R really is the epitome of where compact crossovers appear to be going right now. Despite crossovers being inspired by traditional old-school SUVs, most of us know they're more than likely going to spend their entire lives in urban environments. 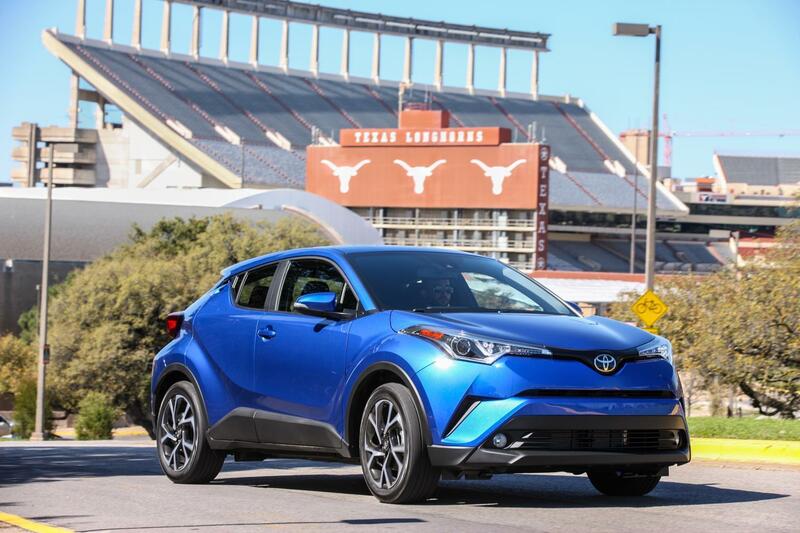 The 2017 Toyota CH-R is moving further away from SUV heritage by not even offering all-wheel drive, so it's really more of a tall hatchback with futuristic SUV-inspired styling. But whatever you see it as, it's a really stunning looking vehicle that demands your attention. The CH-R is with us right now for you to check out as part of our new vehicle inventory, which also includes world-beating models such as the Camry, Corolla and so much more besides. Our entire new and pre-owned inventories are listed here at our website for you to browse at your leisure, and our pre-owned stock also includes models from other automakers as well as Toyota. We always have all the latest offers and the most competitive pricing, but our auto finance experts can help make our already great deals even more affordable with auto loan and lease products to suit a wide range of circumstances and budgets. You can even apply online here at our website to save time when you come to see us. Keeping your vehicle properly maintained so it runs as should is vitally important, and we can help you out with that through our highly trained and experienced service and parts departments. Our technicians have the very latest equipment, our friendly advisors will make everything go as smoothly as possible, and we can supply all the genuine parts you need for any do-it-yourself project. For more details on the 2018 CH-R or any other vehicles we have for sale, to book a service appointment, to order parts or to schedule a test drive, don’t hesitate to get in touch with us here at Waite Toyota.